Right, we are hurtling towards Christmas, and I don’t usually get into the conversation till at least the second week of December, but for my November Blog offering I’m making an exception. The reason I’m making an exception is that people are getting busy with social plans, looking forward to eating lots of festive food, drinking loads and subconsciously making plans to reduce their exercise routine. Ok, so that’s me. Ha ha! Is it you too? Actually, although I’m looking forward to festive food, this year I have no intention of reducing my fitness routine. It may even increase as there are invitations to pre-Christmas Salsa evenings, Zumba party classes and other nice events that don’t include eating and drinking so much that moving becomes a real bind! Christmas is a long, long affair these days and a month or more of “letting loose” isn’t a great idea if like me you need motivation and encouragement to get fit and to maintain fitness. It’s a well-trodden slippery slope to reducing exercise and passing up great healthy food for sweet and savoury stodge and then feeling groggy and lack lustre. I hate that state of being. That feeling of being weighted down and clogged up veins..urgh. What happens when you start to skip on your routine? Well, bodily changes happen quite quickly, including a decline in heart rate. Muscle strength starts to weaken after 14 days and not fire as well. However, strength can return reasonable easily after a month of inactivity. It’s harder after that. The main issue is probably a decline in motivation. The longer your routine is shelved the harder it becomes to get back on it. Add to that, the intake of unhealthy “treats” makes effort even harder. Many people find themselves struggling after Christmas and feel that all their hard work before then has been wasted, like they’re at back at square one. Does that ring a jingle bell with you? Best thing is to keep up at least some of your routine. Don’t get into too many bad habits. Easier said than done? Not if you have the right mind-set. So what is that exactly? The dictionary definition is: A person’s usual attitude or mental state. So, a positive mind-set is acknowledging the positive benefits of fitness and how it makes you feel, particularly during and after, compared to how a slump on the sofa-again-makes you feel. I always feel so much better after good exercise, so if I’m flagging and considering skipping a class, I fast forward in my head to that after workout feeling. Visualising being there, and my journey home after a great class, feeling invigorated, happy and in a positive frame of mind. I don’t actually need a great deal of encouragement to attend the classes I go to. They are fabulous and I just love them. I am a “studio bunny” rather than a “gym bunny”. I enjoy being with likeminded fun and high energy people. I soak up their enthusiasm and I hope I give out as much as I take. Which camp do you belong to? Do you like to be with people or do you prefer to exercise alone, swimming, running, cycling ….? Letting go of negativity and clearing your mind with few distractions. You’ll probably find classes will close down for a period over Christmas, Instructors do deserve a break from time to time, so maybe keep up the momentum when your classes are closed by for example increasing the amount you walk. Take a strident walk to work, to local shops. It’ll feel good and will be cheaper and very possibly quicker than the bus or car taking into account increasing Christmas road traffic! Keep that new habit up post-Christmas as a useful healthy routine. Walk up and down stairs instead of taking the lift or escalators. Yep, that one. Dance around your kitchen or living room to some of your fav tunes! I do. Takes the boredom out of housework. Also, take some time now to plan your fitness goals for next year. What do you fancy doing? Carry on with what you already love or look for something new? Ramp it up and get excited about resuming your workouts after Christmas or researching what’s new out there. There’s plenty of choice. Put your intentions in your diary. Tick them off when you’ve achieved them. That’ll feel good. I can help with all of the above. Setting goals with you, helping you maintain effective strategies, providing motivation, encouragement and support. I’ve attended Zumba classes for many years and my first class in a hall in a field somewhere in Sussex after doing very little high energy exercise set me on the path to being confident in trying and sticking with lots of other workout classes like HiiT, Insanity, weightlifting, FunkFit…I’m a real fan of pumping up my endorphins! Attending classes with friendly, enthusiastic, energy filled Instructors is very important to me as is the temperament of the other people attending. I avoid places that have uninviting cliques and ‘front row terrorists’. I know how under confident and shy some people are attending classes for the first and subsequent times, and how important an inclusive environment is. A great instructor will be looking out for their students and signs of bullying and exclusion. It is as after all not just about physical health but mental wellbeing too. So choose wisely, otherwise there’ll be more excuses for ditching the workout. Do bear in mind that when you join a class as newbie there will be people who have been attending for some time and may have established a network of friends there. That might seem like a clique and might seem daunting to a newbie, but don’t be put off. Most people are friendly and will want you to enjoy the class as much as they do. Stay with a class where people smile at you with friendly eye contact, where people are happy to chat to you (if that’s what you want) are happy to answer questions, and pleased to share their enthusiasm with you and others in class. Get recommendations from good friends, colleagues, people you overhear talking about their brilliant Instructors. I attend awesome classes regularly and as I’ve mentioned, I need no encouragement to get on it and shake it all about, or flex my gluts and tear my abs! Here are some recommendations from me. Off the scale energy soaked classes! I attend Cheima’s classes twice a week and love her Zumba style and crazy sense of fun. She is a firecracker of an Zumba instructor 💥 We all have such a giggle while sweating buckets! Make some noise too! Don’t be shy to shout out a few “whoops” and “heys”! Release your energy. It’s an all over work out at Cheima’s sessions including working the face cheeks! Check out the Zumba website for other classes in your vicinity. Other instructors I recommend in Brighton & Hove who can be found there are Mon Zam, Tessa Wilson, Rosie Crompton, Chloe Sallis, Helen Ford and Lucie Richardson. Groove your way to fitness with upbeat dance exercise to fab club disco classics, funk and soul tracks. Miles of smiles as everyone gets on down and gets high on getting fit. Fancy getting fit and being transported to the colour and sounds of a Rio Carnival? Learning hot Latin moves and more with the experienced, dazzling, effervescent “dance love” Marta? Explore her classes and treat your body and mind to a fabulous experience. Yolanda offers arrange of classes to help get you fitter and toned. She has a wealth of experience and an encouraging no nonsense style, bringing her great sense of fun to the workout. Take a look here for her classes and popular and successful Boot Camps. Might be just what you need in the New Year! A huge “Whoooop!” from me to great instructors everywhere who love what they do and encourage and motivate their students, and especially those who have enriched my life! 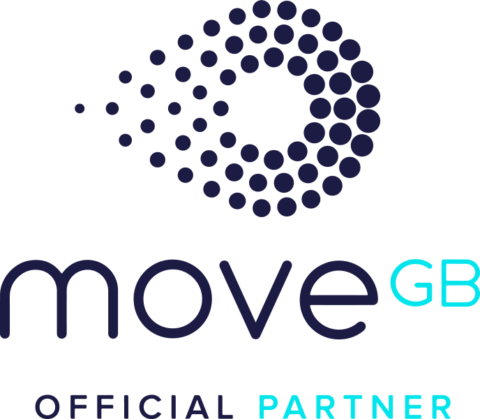 As a hypnotherapist who is very keen to help people improve their overall health and wellbeing, I became a partner of MoveGB in order to offer hypnotherapy to help with motivation to get fit and eat healthily. So if you need that extra help with setting, achieving and maintaining lifestyle/wellness goals and subscribe to MoveGB, get in touch with me to take advantage of the incredible MoveGB member rates. My MoveGB rates apply to other areas of concern other than exercise and fitness motivation you might wish to work on too, so win, win really! Whether you’re a member of MoveGB or not, get in touch with me if you really want to approach fitness and wellbeing in a positive and balanced way. Good luck with putting in some action now to avoid unnecessary pain at the beginning of your new year!